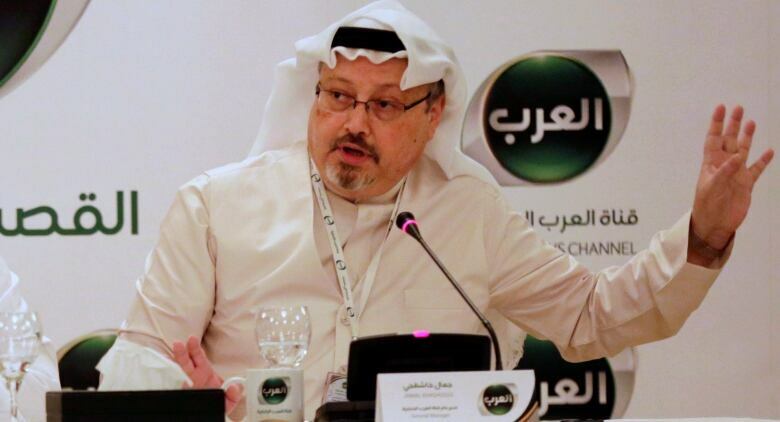 If the missing dissident Saudi journalist was indeed murdered and dismembered inside the Saudi consulate in Istanbul, as reports suggest he was, U.S. President Donald Trump could face a diplomatic crisis. The mystery deepens with each passing day: What happened to Jamal Khashoggi? Both Republican and Democratic lawmakers have already called for sanctions against anyone found responsible for Khashoggi's disappearance. Under enormous strain to respond strongly to reports of Khashoggi being executed by a 15-member "assassination squad," Trump could also order sanctions, stop lucrative U.S. weapons sales to Saudi Arabia, end joint military exercises or demand a halt to the Saudis' blockade on Qatar. 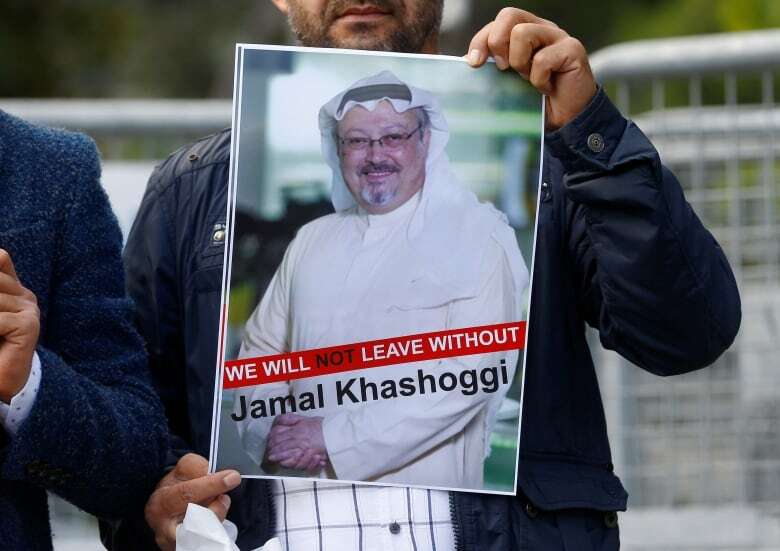 Except he likely won't, even if the Saudi government's role in a possible assassination is confirmed, say some former diplomats and Middle East experts. Trump was asked by journalists on Thursday whether he would halt arms sales to Saudi Arabia if it was found that its agents murdered Khashoggi, a U.S. resident and Washington Post columnist. Trump responded that cutting billions in arms sales to the kingdom would hurt U.S. workers and "be a very tough pill to swallow." Senators from both parties have called for Trump to invoke sanctions against Saudi officials under the Magnitsky Act, legislation initially designed to punish Russia for killing a lawyer who exposed corruption, if their involvement in the alleged murder of Khashoggi is confirmed. Republican Sen. Lindsay Graham, a Trump ally, has said there would be "hell to pay" if it turns out Saudi Arabia killed the columnist. Sen. Bob Corker, another powerful Republican, said he believes the Saudis killed Khashoggi and signed a letter backing sanctions. But a tangled web of U.S. geopolitical interests and a personal bond between Trump's son-in-law Jared Kushner and Saudi Crown Prince Mohammed bin Salman could disrupt action against the House of Saud, some experts said. Others argue the Trump administration will have to do something significant. "The Saudis have now, I think, placed their relationship in the greatest jeopardy it's been in the last 25 years, or more," said Robert Jordan, a former U.S. ambassador in Riyadh during the George W. Bush administration. "This is not a trivial thing. It makes a great challenge for a country with the values of the United States to continue in the same vein." 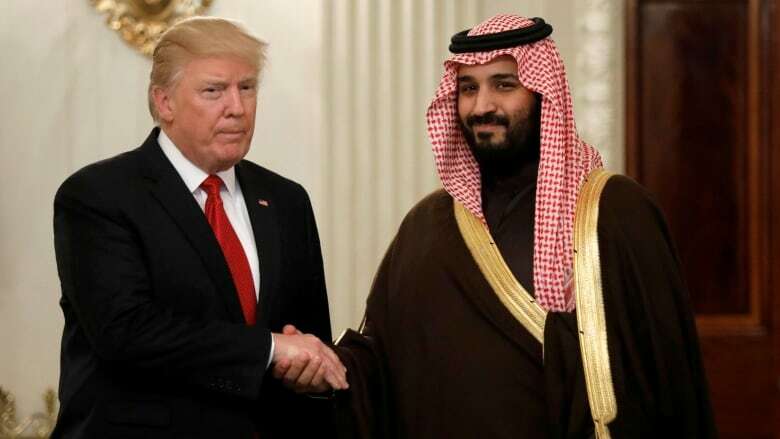 To Washington, Riyadh's friendship is important for counter-terrorism, containing Iran and efforts for rapprochement between Israel and the Palestinians. The U.S. also supports a Saudi military campaign in Yemen. Khashoggi, a former Saudi insider who is now a prominent columnist living in Virginia in self-imposed exile, was shown walking into the Saudi Consulate in Istanbul on Oct. 2. As his fiancée waited outside for hours, he never reappeared. He has not been seen since. Turkish authorities have since said they have explicit audio recordings and video footage showing evidence of Khashoggi's attack, including the moment he was killed, according to media reports. Turkish officials speaking on condition of anonymity reportedly described a gory killing. Among the items allegedly brought into the consulate by a suspected hit squad was a bonesaw. Saudi officials insist Khashoggi left the building unharmed, though they haven't produced evidence to back their claims. Turkish employees working at the consulate were sent home on the afternoon of the alleged killing, and Saudi officials have claimed there is no security camera footage available to show Khashoggi leaving. Reports say U.S. intelligence intercepted communications in which Saudi officials discussed a plot to lure Khashoggi back to the kingdom to detain him. For his part, Trump indicated he believes Khashoggi may have been murdered. "So far, it's looking a little like that," he said in a Fox News interview. Experts believe such a scheme would have come at the direction of Mohammed bin Salman, or "MBS," the 33-year-old Saudi crown prince who generated global buzz for highly publicised reforms, including ending the ban on driving for women. Salman's self-described push for modernization helped him forge a kinship with Jared Kushner, and Trump's son-in-law staked his Mideast strategy largely on Salman's claims of being a bold regional reformer. Critics say the young Saudi prince has an authoritarian streak. Last year, for example, amid claims of corruption, he ordered the imprisonment of prominent Saudi business figures and princes in Riyadh's Ritz-Carlton. "The crown prince has been brilliant in many aspects. Eliminating the ban on women driving is a home run; an issue every American knew," said David Des Roches, a senior fellow at the Near East South Asia Center for Security Studies in Washington, D.C.
"But that's the shiny side to the relationship. All this other stuff detracts from it." Asked whether the U.S.-Saudi bilateral relationship might be irreparably broken, Tom Lippman, the author of Saudi Arabia on the Edge: The Uncertain Future of an American Ally, demurred. This won't have been the first time the Saudis have crossed the U.S. during their 75-year alliance, he said. "It's always been this way. Even under [former U.S. President] Jimmy Carter, who made human rights the cornerstone of his foreign policy, even he was obsequious to the Saudis because he wanted something from them." "What I'm expecting here is no long-term or even medium-term damage," Lippman said. Trump will still be walking a diplomatic tightrope, said Gerald Feierstein, a former U.S. ambassador to Yemen under President Barack Obama. Much may be riding on the preservation of the delicate relationship, but "business as usual won't work," he said. "This is a tricky challenge for any administration, not just the Trump people. They have to signal very clearly to the Saudis, and also a U.S. domestic audience, that they understand the seriousness of this and won't just allow the Saudis to sweep this under the rug." In the meantime, a large investment conference next week is going ahead in the Saudi capital. Some U.S. invitees, including the New York Times, have withdrawn. A year after a handful of Saudi royals were detained at glitzy Riyadh hotel, Feierstein expects many others in the business community may vote with their feet and pull out of the meeting, citing lost confidence the Saudi regime. For those who do attend, however, the conference venue may sound familiar: Ritz-Carlton Riyadh.